We hope that more youths would be involved in leadership positions as we prepare to crown the 40 year-old dapper Prince Adeyeye Enitan Ogunwusi as the New Ooni of Ife. Prince Adeyeye is the founder of Essential Homes, a real estate project that delivers affordable upscale homes to the middle and low income earners. Prince Adeyeye Enitan Ogunwusi was born to Prince Ropo and Late Mrs Margaret Wuraola Ogunwusi (Ile Opa family compound, Ile Ife). His father was a radio and television anchor. 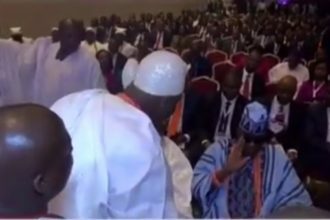 The new Ooni of Ife is employs over 300 youth at the Inagbe Cocowood Factory and has over 450 direct employees in his various companies. Prince Adeyeye Enitan Ogunwusi is on the Board of; Imperial Homes Mortgage Bank Limited, (formerly GTHomes), GTBank Plc and FinaTrust Microfinance Bank Limited. Just Imagine what he will do when he gets into actual leadership as the foremost Monarch of Yorubaland.